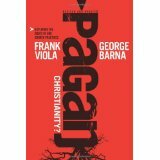 From the Viola/Barna book Pagan Christianity?, I have in the last two posts shared some rather negative appraisals of certain practices and philosophies. Below is a far more positive sampling of thoughts on immersion. One might pick a little with a few of the seemingly absolute statements; please simply realize that I have not shared all the context. Although not without negative implications viz. certain habits in much of evangelical Christendom, these points are as salient as they are correct and affirming of one very biblical practice. Evangelical Christians believe in and practice believer’s baptism as opposed to infant baptism. . . . However, it is typical in most contemporary churches for baptism to be separated from conversion by great lengths of time. . . . In the early church, converts were baptized immediately upon believing. . . . In our day, the “sinner’s prayer” has replaced the role of water baptism as the initial confession of faith. Unbelievers are told, “Say this prayer after me, accept Jesus as your personal Savior, and you will be saved.” But nowhere in the New Testament do we find any person being led to the Lord by a sinner’s prayer. And there is not the faintest whisper in the Bible about a “personal” Savior. . . . So when did baptism get separated from receiving Christ? It began in the early second century. Certain influential Christians taught that baptism must be preceded by a period of instruction, prayer, and fasting. This trend grew worse in the third century. . . .
As stated earlier, the sinner’s prayer eventually replaced the biblical role of water baptism. Though it is touted as gospel today, this prayer developed only recently. D.L. Moody was the first to employ it. . . . There is nothing particularly wrong with it. . . . However, it should not replace water baptism as the outward instrument for conversion-initiation. . . . Through our tradition, we have evacuated the true meaning and power behind water baptism. Properly conceived and practiced, water baptism is the believer’s initial confession of faith before men, demons, angels, and God. Baptism is a visible sign that depicts our separation from the world, our death with Christ, the burial of our old man, the death of the old creation, and the washing of the Word of God. W ater baptism is the New Testament form of conversion-initiation. It is God’s idea. 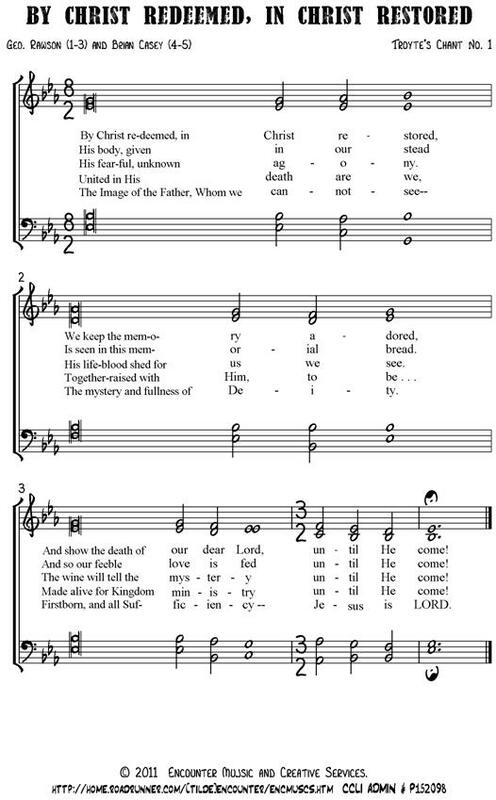 To replace it with the human-invented sinner’s prayer is to deplete baptism of its God-given testimony. A brief post of my own on immersion may be found here. Its title is from the song referenced below. I surely wish I could carry with me daily the perspectives and feelings of the words of the Kenny Chesney/Randy Travis song “Baptism,” whose lyrics may be found here. In a newly e-published book on four views of baptism, one might learn about the general positions of Baptists, of Reformed types, of Lutherans, and of the ARM (American Restoration Movement/Christian Church/Church of Christ). Those groups represent rather disparate, significant views on this subject. I just got this book free, but I doubt I’ll read it. I’m not very interested in those views. I’m after the biblical view(s). Although some of those views are more off the biblical mark than others and are of interest only in a historical or comparative sense, no sect can rightly lay claim to holding all the truth on a subject like this. As for me and my house, we want to know what the scriptural messages are, and how the very first Christians practiced baptism and were taught about it. Inherently, the modus operandi of quasi-prophetic, interrogatory verbalization runs counter to long-practiced norms — and to a good many beliefs tenaciously held by the masses. For this disequilibrious endeavor I will make no apology, but if I ever seem to be fighting the individual’s independent, sincere pursuit of Almighty God and His eternal kingdom, I sit ready to be corrected. In my last post, I listed an initial, six things I would do in, to, and for the earthly, western church of the 21st century, if I had the ability. These had to do with sects and structures, the clergy role, and scriptural moorings. The ramifications of some of these items are broad, and I’m fully aware of the audacity of some of them. In order to be clear about my human fallibility, I am presenting my list of twelve items in half-twelve lists of six, the “number of man.” The total number — a nice, round, “biblical” one — has more reference to the current calendar year than to biblical completion: here, although I touch on several matters I consider crucial, I make no claim to being exhaustive. Below, then, is the second group of six things I would do in, to, and for the earthly, western church, if I had the ability. These six concern (1-2) relational dynamics, (3-4) concepts of worship and of the Christian gathering, and (5-6) understandings of beginnings and continuations. Not all the twelve items (the ones above, plus the last six) are of equal importance, but they are all important to me. They don’t represent the gamut of need within Christendom; there are other areas that need attention, as well. I don’t claim to be all that circumspect or insightful — only ardent for pure Christianity where I find its current iteration tainted. While the list of twelve items may contract or expand with the passing years, I have given these enough thought, through enough time, that I expect them to remain with me, to some extent, until I die — or until the Son returns to claim His own. I do not believe m/any of the items will ever come to pass, in any appreciable measure. In the circles in which I have influence, however, God giving me life and influence, I am resolved to encourage the absorption of these and other aspects of biblically well-founded Christianity. N.T. “Tom” Wright, as I suggested in the last post, is not always right. He seems to be a decent fellow, often has much to offer, and is a gifted communicator — or at least his style communicates well to me. He is not always right, but on the other hand, he often has something insightful to say. Since I’m only almost-through with Vol. 1 of his two-volume Acts commentary, I imagine I’ll have more Wright stuff to write about in the future. [S]ince there is in fact no single, identical pattern of Christian initiation running right across our earliest documents, the church has, in my view wisely, developed patterns which broadly correspond to what seems to have been done by the first apostles themselves, as much by decisions taken as they went along as by carefully thought-out regulation. Mr.¹ Wright, your denomination does not appear to be on a valid track with its practice of “confirmation,” but I greatly appreciate that you find connections between authentic Christian practice today and what the apostles did and taught in the first century! ¹ I didn’t take time to look up how Anglican bishops are properly addressed in-house, because not only do I not care, but I suspect that Tom Wright has long ago moved beyond caring about titles and formalities! I learned to respect the name N.T. Wright when he was on the “good side” (contra Marcus Borg and John Dominic Crossan, widely considered to be bona fide heretics) of the “Jesus at 2000” debate. I have since picked up two of Wright’s commentaries and have glanced a few times at his website. He’s a good communicator and is renowned as an Anglican bishop, theologian, writer, and speaker. As a bishop, one of the things I do quite a lot is to go round laying hands on people and praying for God’s holy spirit to come upon them. It is often a very moving and exciting time, not least at the Easter Vigil when we come in darkness into the great cathedral, led by the candle symbolizing the risen Jesus, and then, with lights coming on, playing on the organ and other instruments, and shouts of “Alleluia!,” we celebrate the resurrection. We renew the vows made at our baptism; and then, sometimes pausing to baptize people as well, we welcome into our fellowship through confirmation (the laying on of the bishop’s hands, with prayer) those who had been baptized earlier, probably as infants, and who now want to make real for themselves the promises which had been made on their behalf some while before. Now, before I protest several elements of the good bishop’s words above, I want to say that I am not throwing away or defacing his books. They’re borrowed from the library. I am not returning them in disgust. I can still learn from this man, this Anglican official who has a great deal of insight and communicative gift. But he can be off-base, and here, off-base he is. I’ll also say that there are a couple of very important, apt insights contained in the middle of Wright’s messy, mixed bag. The very first problem is his conclusion to this topic of discourse: we are apparently supposed to believe that because he says people have great stories to tell, his “confirmation” practice is valid. Despite the goodness of heart and thoroughness of thought that N.T. “Tom” Wright manifests so regularly, he is not always right. The implicit suggestion that the laying on of a denominational bishop’s hands means something is questionable. And the pragmatically, morally absurd notion of “baptizing” an infant (of course, they are just sprinkled or poured upon, not really baptized, for that would be child abuse) is eclipsed in the spiritual plane by the inability to see that there was actually a pattern of initiation–shown pretty clearly in the record we call Acts of the Apostles. Denominational loyalties and mass marketing are enemies of truth. The advance “moral of the story” is this: Neither a sinner’s-prayer utterer nor a membership-placer be! Now, there’s a lot in this account of the interaction of a clout-toting Council member with a no-account rabbi, and I don’t presume to deal with all of it here. I do suggest that it is apparent, based on one aspect of the recorded response of Jesus, that there are two things at work in the rebirth process — that is, two primary elements to be attended to, as one moves from the world into Jesus’ way: 1) water and 2) God’s Spirit. It further seems — and this part may temporarily rattle some of my forbears and nearer siblings — that the second thing, God’s Spirit, is the more emphasized here. In other words, the role of water is not to be obliviated or reduced to “optional” status — after all, Jesus Himself indicated “water” in same breath as “Spirit” and submitted to immersion Himself — but the Spirit of God should probably be seen as the primary, spiritually active element in the process of coming into the Kingdom. In the case of the water, there is, and should be, human effort. In the case of the Spirit, the activity is God’s, not ours; this reality had been prefigured in John 1:12-13. As with the wind, it’s kind of hard to discover its origin or trace its exact path. The water (1) and the Spirit (2) appear to work sequentially, or at least together somehow. P.S. We might also note that Jesus doesn’t once mention the so-called “sinner’s prayer” … confirming my understanding that, despite millions of unfounded opinions to the contrary, the sinner’s prayer and utterances like it have nothing to do with what is presented in scripture about putting on Jesus Christ and identifying with His spiritual family. Oh yeah, and other local-church routines for “becoming a member,” such as “placing membership,” catechism classes, confirmations, West Side Church 101 classes, and so forth, have much less place in this conversation than a humble prayer acknowledging sin and need. Paul focuses in this section on the new life of the believer. We may perpetuate the connection with the core of the good news today: He died; we die. He was buried; we are buried. He was raised and made alive; we are raised out of the grave and made alive. Another significant word in the text of the letter to the Colossians is mysterion (mystery), which shows up in 1:27 and 2:2. The mystery, Paul says, is “Christ in you.” Significantly, and perhaps paradoxically, in this letter, Paul has God fully dwelling in Christ (1:19, 2:9); Christ living in the believer (1:27), and the believer living in Christ (2:12f, 3:3). Yesterday, I took Troyte’s Chant No. 1, with the text “By Christ Redeemed, In Christ Restored” and added two stanzas that attempt to highlight a few of these important aspects of the Colossians text. I share them here in hope that they will benefit the larger Body of Christ. This is the longest “break” I’ve taken from blog attention for months. As my boss is fond of interjecting, when inviting us to attend this or that, we do things “when life permits”! So, back to the discussion, because life permitted during a particular lunch hour on Friday, and again before bed on Sunday, and…. I have three major gripes with this list. First, it is objectionably simplistic, requiring no cost-counting, and potentially cheapening God’s grace. Second, it is mere human codification that is presented as biblical procedure. And third, it omits at least two integral parts of Christian practice, as evidenced in early conversions and lives in the history of the Christian church (book of Acts). Q: About how many “prooftextily used” Bible verses support the idea that all you have to do is “invite Jesus into your heart” or “confess Him”? A: Oh, maybe 3 or 4. Q: About how many prooftextily used Bible verses support the idea that baptism is part of it? A: Oh, maybe 25 or 30. Q: How can people misunderstand that all there is is confession? A: I don’t know. It’s really not a scriptural position. Did you notice the use of the word “weaned” (i.e., weaned from the Bible) in the first post?… I suspect it’s mostly because of what people inherit from their “pastors,” and ultimately, maybe from Luther, one of the fathers of faith-only thinking. It’s not as cheap or simple as those five steps. Immersion is part of the picture, and there’s a lot more beyond that! Now here’s a fair question: why is there no biblical record of the immersion of the twelve (eleven)? Maybe they didn’t experience water in this way, because it’s a NC ritual, the new covenant wasn’t initiated yet; or maybe they did experience it, and it was just assumed that everyone would know it, so the writers didn’t record the instances. Any other answers to this question? I might add that Saul-Paul was of course famously immersed, and you’d think it would have been difficult for Peter not to have been immersed before he wrote the words we know as 1 Peter 3:21 (and the surrounding thoughts!). Nine out of ten times, others’ conversions in the NC writings appear to include immersion. The symbol itself is very compelling and is obviously connected to being reborn, starting a new life, expressing faith in Jesus’ atoning death and His rising, etc. Although I would never limit God with regard to those who haven’t been immersed, I do have concerns about those who “get” the idea of baptism but then reject it, based on human logic or illogic … or, I should say, based on the formulations of religious leaders. It is more than informative to read the records, to see the picture, and to comprehend the cataclysmic nature of Jesus’ sacrificial death and the believer’s identification with it. The connection is a spiritual reality, but the physical symbol of water-immersion is certainly a part of the picture, in the individual’s experience. And immersion is without question a part of the eminently visible, biblical model! To be immersed is also a response to divine grace extended. Purely speaking, although people may corrupt it, immersion is no more a work-to-earn-standing than the so-called “sinner’s prayer” or any other, more heartful, inner-world set of thoughts that emanate from a “decision to receive Christ.” Response is required of believers throughout all recorded history of God’s dealing with humans. It does no disservice to grace to say that a believer must respond to it–whether by being immersed or by praying or by confessing or by living within the light, etc. Confession and immersion are simple. But repentance is not. Repentance … now there’s a difficult practice. Not so difficult in its philosophical essence, maybe, but exceedingly difficult in its working-out. Having visited the rural church-planting work in Eldoret, Kenya years ago, I was impressed that the Christians there had come to emphasize repentance in their references to others: “Did so-and-so repent?” “John Matatu repented two months ago and is having struggles now.” Etc. Of course, “repentance” doesn’t get at the whole story, either, but it’s an integral part of conversion, and one that is not often stressed by evangelists these days. After all, it’s hard to get people to commit to changing sinful ways; it’s a lot easier to get them to say the “sinner’s prayer” and start contributing money to your church. According to sources I can no longer trace, this slogan is attributed to Augustine (4th-5th centuries A.D.); was appropriated by Hoffmann von Fallersleben (1852); and was reappropriated by Isaac Errett and others connected with the frontier American Restoration Movement (a/k/a Stone-Campbell Movement) in the later nineteenth century. I still like it, too. I think about immersion a lot. I think about its place in the conversion process. Some say it’s an “outward sign of an inward grace.” I think I agree with that, as far as it goes. Some say it’s essential. I think I agree with that–for me, anyway. Some resist it or even reject it, implying it is unnecessary. Shame. Why resist something that is so clearly part of the conversion process in the New Covenant scriptures? I wouldn’t want to be found consciously rejecting something Jesus submitted to, His apostles administered, Paul and Peter taught, and the early church demonstrated. Most in Christendom, including Roman Catholics and Lutherans and Presbyterians and Methodists, do it to infants, which I just don’t get. Some place more emphasis on the elusive “baptism of the Spirit” than on simple, exemplified baptism in water. Some call attention to identification with Jesus’ death by being “buried” (Romans 6). I think this is sound. Some seem to present baptism as merely identifying one formally with a local congregation. I think this is absurd. Some seem to think that baptism is salvation. These same folks often view salvation as existing in one point in time rather than evolving as a process. Discipleship, I would counter, is a walk, not a single step. Some say you have to be “born again.” I would agree. But what I don’t get is why a lot of the folks who tend to use the term “born again” don’t seem to relate the concept to Jesus’ own words on the subject in John 3. Some say you have to know the “right reason” before you’re immersed. But what if your right reason isn’t the right reason? What if it’s more complex than that, and God mostly wants us to be submissive to Him? I think I knew enough at age 9, but I certainly hope I’ve come to know more about baptism. And I hope, even more than that, that I’ve come to know more of Jesus, the Lord with Whom I sought to clothe myself when I was immersed. Is immersion essential? For me? Yes. For someone else? Well, that’s up to God. The foregoing has been a set of musings on the essentiality, the peripherals, the conceptualizations, and the ramifications of New Covenant immersion … brought to you by one who wants to be faithful to God, the One Who reveals an awful lot of His will in scripture. And rattled through the reeds and the willow trees beyond. As I sank my toes into that cool East Texas mud. Raised to walk in the ways of light and truth. I didn’t see no angels — just a few saints on the shore. But I felt like a newborn baby cradled up in the arms of the Lord. For the blessed peace of mind that came to me that day. This road is long and dusty. Sometimes the soul, it must be cleansed. And I long to feel that water rushing over me again. – “Baptism,” by Mickey Cates. Sung by Randy Travis on the album Inspirational Journey. I hope that, over time, I can present to my son that accurate, joyful, and poignant a picture of immersion into Jesus. Amen.